I am wondering how they can create landscape in the park. They create massive mesas and My Fuji. It is a fricking volcano. The technology and manpower to create something like that is much more advanced than creating humanoid robots. And how can they create weather for each areas? I thought the same thing. And the sudden outfit changes as they arrive at another park???? So if Ford really back or was that just a plot cameo? Is any of it real? Keep in mind the beach and "sunset" they manufactured in the Season 1 finale. None of it was real. The show has never outright revealed where this place is, though they have hinted that it is an island. Where? The climate of the Old West was VERY different than the climate of shogun-era Japan, which was very different than the climate of India under the Raj. But keep in mind that this is science fiction. How far in the future we don't know. Can you remind me of the "beach & sunset" scene? I've gone totally blank on that. Thanks. They have alluded to it being an island off the coast of China. I'm guessing man-made, massively terra-formed, and waaay beyond what we can comprehend. 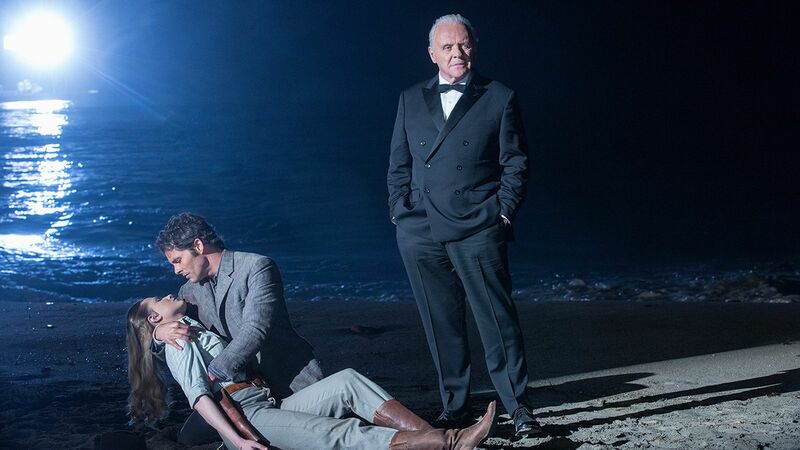 The Season 1 finale had Dolores "dying," and Teddy took her to the beach, where she died in his arms as the sun set over the ocean. Very moving. And then they froze and Ford stepped in. The "sun" was revealed to be fake, and the ocean only extended a few hundred yards or so beyond the beach. See the "sun" in the background. Looks like it actually might be a spotlight of some sort on a boat. I really need to re-watch Season 1. There is so much I either missed or forgot. For example: The greyhound dog that Arnold followed into the saloon to find Ford playing the piano. I just watch an S2E6 recap on YouTube where they played a segment of an S1 video where Ford was talking about the greyhound he had as a kid. I did not remember that segment at all........ And I don't really recall the beach scene/segment pictured above. I think series like this should offer college credits for those who work hard enough at understanding what is going on! Thank you, I do remember now. May be the park is a covered dome and Mt Fuji is just a picture on a giant TV dome. I guess they can create weather within the dome( keep Westworld dry from the tropical moisture, create snow for Shogun world). The funny thing is, even with the "variety" of the parks, SoCal residents can recognize where almost all the places the outdoor scenes are filmed (not counting the Monument Valley Utah shots). Dusty Paramount Ranch and Melody Ranch in Newhall, acres of wild grass fields in Santa Clarita, the slanted rock formations of Vasquez Rocks in Agua Dulce, the railway station in Fillmore, the Pacific sign Center in West Hollywood (for Delos Labs and Delores trip to the future), and the bamboo forest and Japanese buildings in Huntington Gardens in San Marino. I watched way too much TV as a kid, especially science fiction. And even as a kid I noticed that no matter where in the universe or on the globe you were --- be it on THE SIX MILLION DOLLAR MAN, STAR TREK, SPACE: 1999, PLANET OF THE APES, BATTLESTAR GALACTICA, BUCK ROGERS, THE A-TEAM, MACGYVER, etc., etc. --- it all kinda looked like southern California.